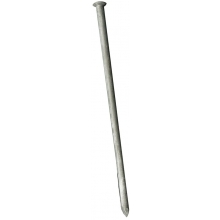 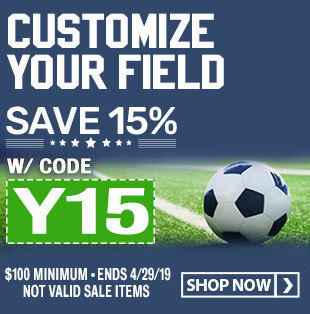 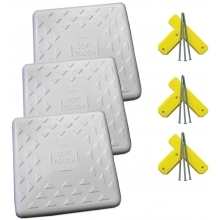 These spike-down bases combine the exclusive Soft Touch base design with a spike-down mounting system that can be installed on any grass or dirt area. 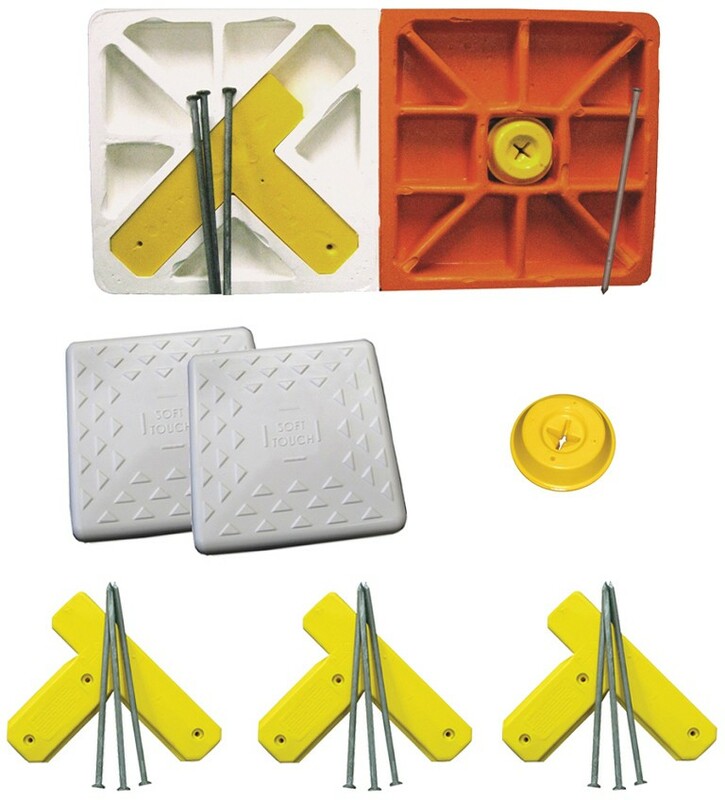 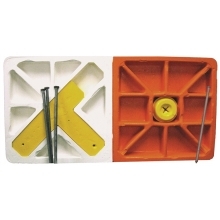 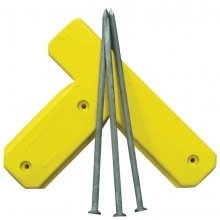 Use these bases on any field when square Soft Touch ground anchors are not present. 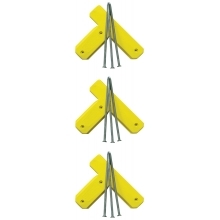 Simply drive the spikes through the yellow disc or "T" mounting anchor and mount the base the the anchor. The double first base is designed for player safety to avoid interference with the feet of the runner. 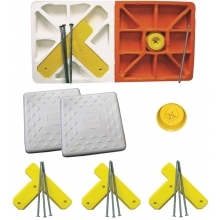 The bases are designed to flex and absorb energy as a player slides into the base. 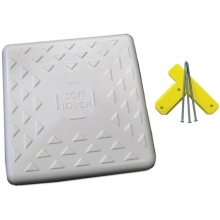 In the case of uncontrolled slides, the "Progressive Release" action allows the base to flex until enough force is applied to "pop" the base free from the mount.